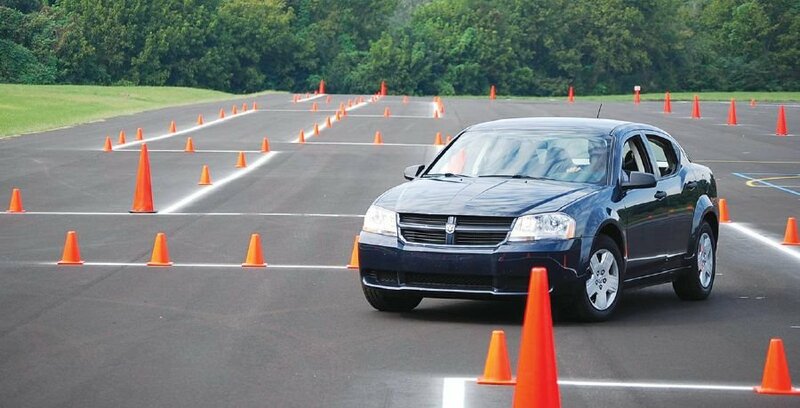 (File pix) Consider including defensive driving in current syllabus at driving schools. International reports showed such courses can help reduce accident rates by as much as 80 per cent. GETTING a driver’s licence, for a car or a motorbike, is one of the most anticipated rites of passage for a teenager. Some likened it to getting the keys to freedom. One can travel far and wide on his or her own by having a driver’s licence. My niece, for one, took driving lessons right after her Sijil Pelajaran Malaysia examination ended, sat for the driving test and passed. A year later, she was zipping around in Putrajaya in a red Perodua Axia. She is now studying at a university down south and it took a lot of effort on her part to convince her parents to allow her to drive the car down. The first time she drove the car all the way from Putrajaya to her university, her father tailed her in another car. Now, she is adept at driving on her own whenever she comes back to Putrajaya during study week or semester breaks, or returning to university when semester commences. We would track her movements on the North-South Expressway using a mobile phone application. As parents, we worry whenever our children are on the road, either driving cars or riding motorbikes, although we find it a relief too that we no longer need to chauffeur them around. Whenever my niece was home for semester breaks, she would fetch her brother from school or mother from work whenever her father is not around. She would also ferry the grandmother to the hospital and run errands. We have trusted her enough to be responsible on the road. A friend’s son, for example, died in a road accident some time ago. He was on his way home in the early hours of the morning after hanging out with some friends. He lost control of the car he was driving and hit a road divider. He died on the spot. He had just turned 18. Newly-minted Transport Minister Anthony Loke shared recently “worrying” statistics on road fatalities of those aged between 16 and 20. Of the 7,152 road fatalities reported in 2016, 1,161 deaths were of those aged between 16 and 20, and about 1,000 others aged between 21 and 25. The biggest contributor to the accident rate was motorcyclists and pillion riders, which made up about 60 per cent. Police statistics showed that between January and September last year alone, deaths involving motorcyclists aged 16 to 25 was recorded at 1,043 from 3,232 accidents. With that in mind, Loke is seeking public views, especially from parents, regarding the minimum age for obtaining a driving licence. A minimum driving age is the legal age at which a person can obtain a driver’s licence to lawfully drive a motor vehicle on public roads. It is commonly set at 18 years old in most countries, but, learner drivers may be permitted on the road at an earlier age under supervision. The current minimum age for obtaining a driving licence in Malaysia is 16 years old for motorcycles, and 17 years old for cars. According to Wikipedia, countries with the lowest minimum driving ages (17 and below) include Canada, Iceland, India, New Zealand, the Philippines, the United Kingdom, and the United States. In fact, in several states in the US, drivers can be as young as 14 years old. Critics have been reported as saying that it is inexperience, not age, that is causing young drivers to be involved in more crashes than others. Also, brain studies by scientists at the US National Institutes of Health also suggested that maturity is just as crucial. “Evidence is mounting that the brain of a 16-year-old is generally far less developed than that of a teen just a little older. The implication is that a new 17- or 18-year-old is safer than a new 16-year-old driver,” a report said. In fact, many states in the US have imposed restrictions on young drivers, such as limiting the number of passengers they can ferry or barring late-night driving. Here, one has to attend a five-hour Highway Code class before sitting for a computerised theory test conducted by the Road Transport Department (RTD). After passing the test, he will have to attend a six-hour maintenance course (three hours of theory, another three of practical) before being issued the Learner Driver’s Licence, or “L” licence, by the RTD. With the “L” licence, he can then take up practical driving. It will take a month of practice before he can sit for the practical test. After passing the practical test, he will be issued a Probationary Driving Licence (P). He is then on his own in gaining driving experience. Two years later, if he has not accumulated 10 demerit points, that licence will be upgraded to a Competent Driver’s Licence, which can be renewed every one, two, three or five years. He is given a grace period of three years to renew the licence before it lapses, failing which he may need to start over the entire driving lesson course. I would rather that the authorities revamp the current syllabus at driving schools to include defensive driving. Some international reports show that those who attended defensive driving courses can reduce accident rates by as much as 80 per cent. The authorities should also consider a refresher course before drivers renew their Competent Driver’s Licence. I believe driving lessons should not end when one has already obtained the licence. Defensive driving or refresher courses will enable motorists to update their knowledge and skills. My brother constantly imparts his knowledge and shares his driving experience with his daughter. We are hopeful that she and the young drivers will constantly be vigilant on the road.